The ultimate racing experience needs a motion system that perfectly replicates the movements of a real racing car! 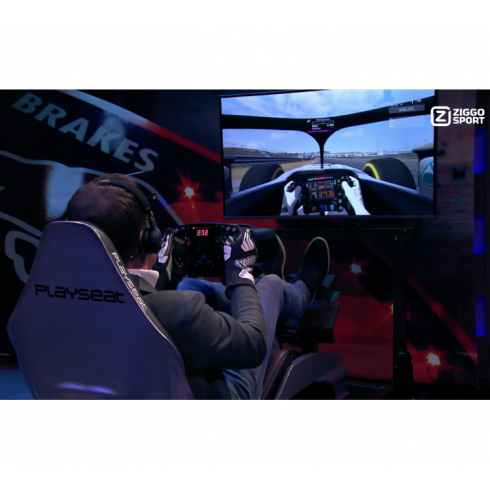 As seen on TV: the Playseat® Motion is a custom made motion system for the Playseat® F1 setup at the Ziggo Sport F1 Café talkshow. This product is currently not available for the consumer market, but you can start racing like a Formula 1 driver with Playseat® F1 simulators.